Hair transplantation is essentially about relocating, or transplanting, the bald resistant hair follicles from the back or sides of the head (donor site) to the balding and thinning areas on the top or front of the head (recipient site). Beverly Hills Hair Group offers two methods to accomplish this: Follicular Unit Transfer (FUT) and automated Follicular Unit Extraction (FUE) using NeoGraft. This process works for a lifetime because the hair follicles taken from the back of the head are genetically resistant to baldness, despite where they are relocated. Hair loss can be caused by a number of factors, ranging from genetics and aging to disease and environmental stress. The vast majority of hair loss cases in men are known as male pattern baldness (MPB), which is influenced greatly by heredity, age and hormones. The hormone dihydrotestesterone (DHT) causes hair follicle shrinkage and the eventual failure of new hair growth around the front, crown and top of the scalp. Women’s hair loss is typically caused by hormonal changes and results in an overall thinning of the hair. Dr. Ben Talei, a double board certified plastic surgeon, can accurately determine your candidacy for a hair transplant. Factors under consideration will be the specific cause of your hair loss, your age, the amount of donor hair you have and the severity of your hair loss condition. Your personal goals and budget needs are also taken into consideration. While our clinic is equipped to treat all types and degrees of hair loss, the best candidates for hair transplant procedures are men with male pattern baldness and who have a sufficient and stable donor hair supply in the back or sides of their scalp. How Natural Will My Hair Restoration Results Be? When it comes to our hair restoration procedures, natural results are what we are known for. Our advanced hair transplant technology, combined with Dr. Talei’s unrivaled skill and talented artistry, creates results that are undetectable, with natural hairlines and consistent growth patterns. Taking advantage of the state-of-the-art NeoGraft hair transplantation procedure with automated FUE technique and choosing a qualified, skilled surgeon to perform it can ensure you get the natural results you hope for. Hair transplantation, when done right, should be so natural that even your hair stylist will not know. At Beverly Hills Hair Group, we take extra measures to ensure that your hair transplant is as comfortable as possible. 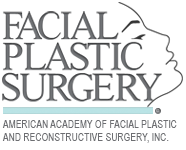 Patients are given local anesthesia in the donor and recipient areas. Most patients find that once the anesthesia is given, they do not feel pain or discomfort during the surgery. Our clinic offers relaxing amenities to enjoy while Dr. Talei performs your hair transplant procedure. You can expect to feel a minimal amount of soreness and numbness after your surgery. Most patients are surprised by how painless their hair transplantation is, particularly those that choose our NeoGraft method that requires no scalpel incision and no stitches. The duration of your hair transplant surgery depends on the number of grafts needed to accomplish your goals. An average hair transplant takes about 4-7 hours, but this can also depend on which hair restoration method you select. A typical session of between 1,500 to 3,000 grafts normally involves a full day of surgery on an out patient basis. Most patients will arrive in the morning and will have their procedure completed by late afternoon. A 500 graft session can be completed in just a few hours. When Can I Expect My Newly Transplanted Hair to Start to Grow? On average, transplanted hair follicles begin to grow new hair between 3 to 5 months following surgery. You can expect your new hair to grow about a half an inch per month. It will be thin at first, but over time it will thicken. After one year, a patient’s transplanted hair will be fully mature and continue to grow for a lifetime. Will I Have Post-Surgery Limitations? Your Post-op instructions depend on the hair transplant method you choose. FUT techniques (using thin strip harvesting) require stitches and a more in depth recovery, whereas NeoGraft’s FUE method allows for a much faster recovery since there are no sutures. Most patients can resume shampooing after 48 hours. If you are a NeoGraft patient, you can likely return to work the very next day. Thin strip harvest transplants restrict patients for about 5 days. Dr. Talei will give you a detailed explanation of what you can and cannot do following your specific procedure. The cost of your hair transplant is based on the number of grafts you need and is influenced by which procedure method you choose to address your hair loss concerns. Remember that this is a lifetime investment that can permanently restore you hair to its most natural state. Beverly Hills Hair Group offers no obligation consultations where Dr. Talei can access your hair loss condition and listen to your personal goals before giving you a more accurate cost estimate. We are happy to discuss the cost comparison between hair transplantation and other hair restoration procedures as well. Our clinic proudly offers financing plans for your convenience. Yes! Since the hair follicles that are transplanted from the donor site are genetically resistant to going bald, they will continue to grow for life, regardless of their relocation. Dr. Talei may suggest maintenance therapy to ensure your hair transplant continues to deliver the full, natural results. This can include a medication, a low-level laser therapy or Platelet-Rich Plasma injections to promote hair growth. Please call our clinic today if you have further questions surrounding your hair transplant surgery. 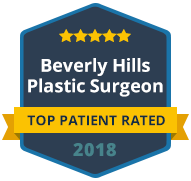 We can arrange a consultation with Dr. Talei so that you can feel confident in your decision for permanent hair loss restoration from Beverly Hills Hair Group.